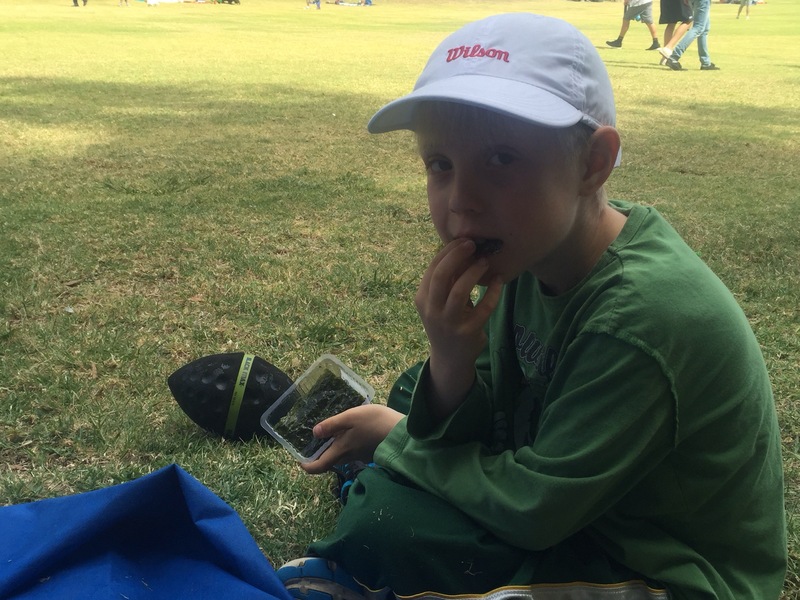 I am thinking about what makes a perfect food for a picnic. You want something that gives a big boost of energy, not something that drags you down. Since you have to carry things to your site, you want something that isn’t heavy. And of course you want something that tastes good. So I want to tell you about a snack that I think meets all these expectations. 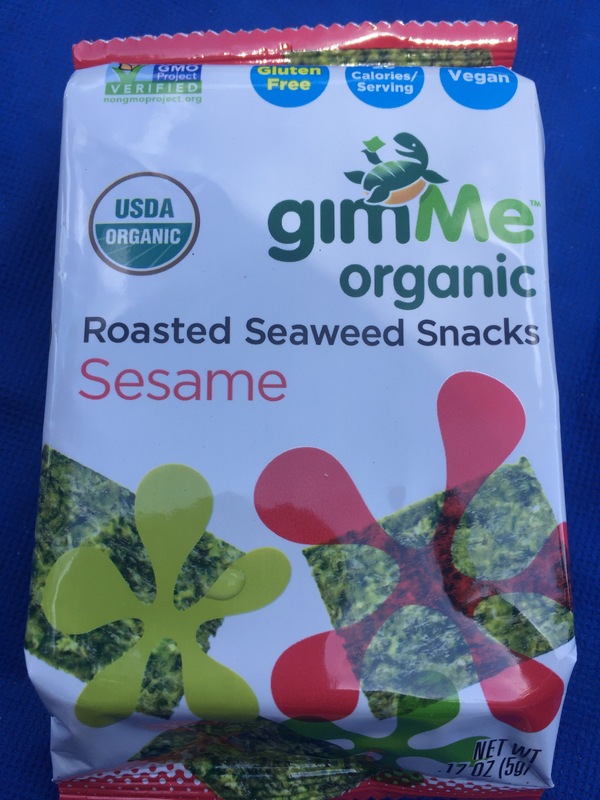 Today’s review will feature the gimMe organic roasted seaweed snacks. This was my first time having seaweed in a while and it was a good reminder of why I like it. The seaweed is hard to chew, but that is okay. Because it tastes good I think it is worth the effort. But to be honest, this is one of my brother’s favorite snacks and he doesn’t think it is hard to chew at all. So maybe it is just me. Anyway, this seaweed snack is also very healthy. 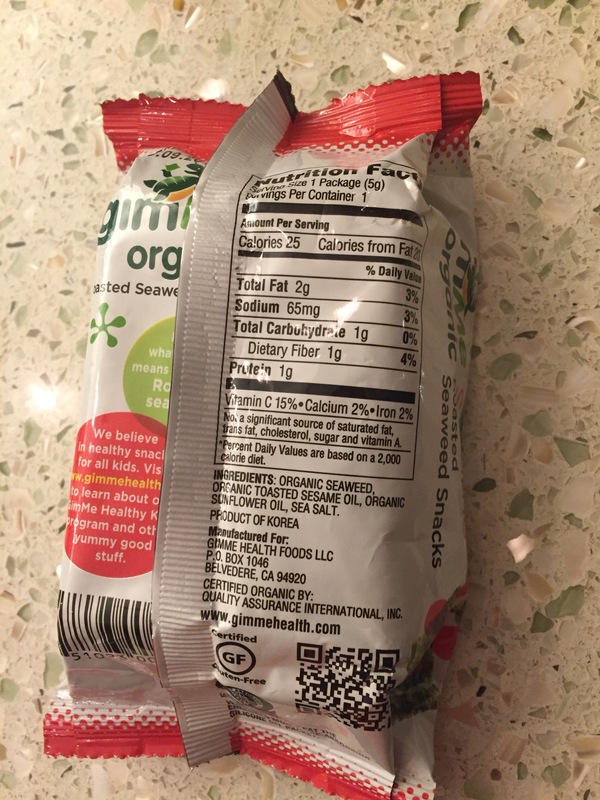 There is 1g of protein, (pretty good for a small amount of seaweed) and also iron and vitamin C. It is organic, Non GMO, gluten free and vegan. Checks a lot of boxes, right? One thing to be aware of though is that if it is windy outside, the seaweed floats and flies all over the place. That happened to me twice at the park!!! The park we went to was Will Rogers. While we were sitting on the blanket, we were watching bean bag toss. It is a game where you try to make it on a board or in a small hole. If you make it in the hole, you get three points, if you make it on the board, you get one point. You can play to whenever you want to. The guys I was watching played to 21. So fun. Of course, I was so busy watching the game that I didn’t even notice some of my seaweed flying away! My mom even found bits and pieces on my dog Bagel! I love the seaweed. So good – if you can keep it from flying away! Papa wants to know: Did Bagel shake off the seaweed and eat it? In which case we may have to change Bagel’s name….to Sea Biscuit! No, Bagel did not shake off the seaweed and eat it. A few weeks ago however when I was sick, Bagel ate a taco and half. One of the people that works for Mom called her ” onion bagel ” because the tacos have onions in them!